How To Get The Most Out of First Aid? 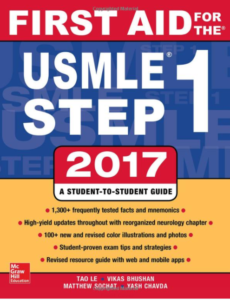 First Aid for the USMLE Step 1 is one of the most popular sources for Step 1. It helped so many medical students to pass the board. Now if you read many forums and blogs people might have different opinions. But, you have to realize that First Aid improved so much over the years and now it is pretty much a complete guide to pass the board. So if someone said that First Aid is not enough, then you should ask when they took the exam. Maybe, that person took the exam awhile back when First Aid wasn’t complete. How many times should you read First Aid? If First Aid is the only source that you are using then you should be reading it at least 5 to 7 times during your overall preparation time. Remember, you can never go wrong with First Aid. My preparation heavily depended on First Aid and it helped me to score high on the Step 1. How long should you take to go over the entire First Aid? It really depends on your reading speed. The first time when I read First Aid it took me around 21 days to read the entire book. But if you keep on read it over and over you will be able to finish it in 8 to 10 days. Now, I will warn you that first few times it might not make sense but as you keep on reading it you will be able to connect the dots and enjoy reading it. Two weeks before the exam First Aid or USMLE World? I personally stopped USMLE World two weeks before the exam and just focused on First Aid. You should be finish your last reading of the entire book 2 days before the exam. And just go over the high yield materials that requires memorization on the last two days. What to read during the last month if you used sources other than First Aid for preparation? Honestly, if you read any other sources like Kaplan or Goljan for preparation, you should stop reading them on your last month and just focus on First Aid. It will help you to maximize your point. So even if you read some other sources make sure at least on your last month you read First Aid. It also gives so many clues and mnemonics. Yes it is enough if you use it with USMLE World. Make sure you write down any material from the USMLE World that is not on the First Aid. This way you wouldn’t miss any important points. Now don’t write the entire explanation from the UW. Just write down the important clues that guide you to the right answer. And read them over and over while going over First Aid. 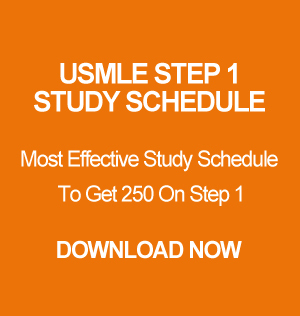 I received lots of email from the IMGs and FMGs recently about when is the perfect time to register for USMLE Step 1. Some people even asked me if they should register during April to July since they heard that the American medical students take the exam at that time and it is “easier”. Some students are also afraid to take the exam around January since they believe the IMGs from around the world take the exam during that time and it will be difficult to score high. So today I will tell you exactly when you should register for the Step 1. First of all, the level of difficulty does not change no matter when you take it. And since there is no two-digit scoring system it really does not matter who you are competing against. Second of all, you should not take the exam based on the month of the year. And there should be no competition against anyone. Compete against yourself! Third of all, you should also keep in mind that, the exam is random. The USMLE Board have over 20,000 questions in a pool and the computer randomly picks the questions with the same level of difficulty for everyone. So basically, whether you are an IMG, FMG or AMG register for the exam when you are ready. Now you might ask how would you know you are ready. If your NBME average is more than 220 you will pass easily with a good score. Also try to take the exam as soon as you are hitting 220 to 240. Don’t wait till you get 260 on the NBME. The more you delay the bitter the material will feel like and you will get demotivated. Good luck with studies! Microbiology is one of the most important topics for Step 1 and I will be honest the board loves Microbiology. And it is one of the easiest topics to get easy points. You will get 7 to 8 questions per block on your exam. I had about 7 questions per block on my exam. And I can guarantee you that I had all of them right! I have seen a lot of people studying so many sources for Microbiology. But today I will tell you exactly what you need to do to get all the Microbiology questions right on the exam. First Aid microbiology section is extremely high yield and is all you need for Step 1. Every single question I had on my exam was from First Aid. You don’t have to be a Microbiology major or take any microbiology courses to ace this section. So what do you need to do? Well, don’t just read that section like a newspaper. Memorize those pages!!! Make sure you remember every single page from the First Aid Microbiology section just like you remember your name! The easiest way to memorize them is by having someone quiz you page by page. I used to sit down with a friend of mine and memorize 3 pages at a time and have him quiz me. If I got a question wrong, he would ask me that same question over and over till I get it right. And that’s how I memorized microbiology. 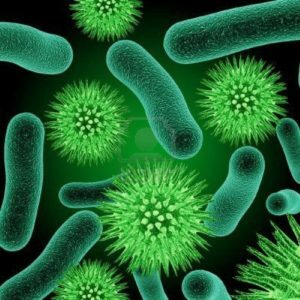 Now, when it comes to the viruses you might find them difficult to remember. But, don’t worry you are not alone. The good news is, they will barely ask you any questions from the virus’s segment, envelope and etc. But please try your best to memorize them though and know the famous viruses (e.g. HSV, EBV, CMV, HIV, Rubella, Hepatitis, and E.T.C). You must know the diseases and cancers that are associated with them. When it comes to HIV make sure you memorize everything about HIV. Make sure you know at what CD4 level which bugs will infect an HIV patient. Also, memorize the Antibiotics!!! They are high yield for both Step 1 and Step 2. Trust me they wouldn’t leave you alone. So memorize them really well!!! A student of mine took his exam on June 2017 and had lots of question on HIV drugs. So you better memorize those HIV drugs. One more thing, don’t forget to use the First Aid 2017 version when it comes to studying HIV drugs because it has new drugs, side effects, and graphs. Lastly, Microbiology is pure memorization. If you don’t have anyone to quiz you then you can buy these Lippincott Microcards: Microbiology Flash Cards. They are amazing especially at bedtime and you can quickly go over them. If you still need help with USMLE Steps, NBMEs or study schedule feel free to check out my consulting service.